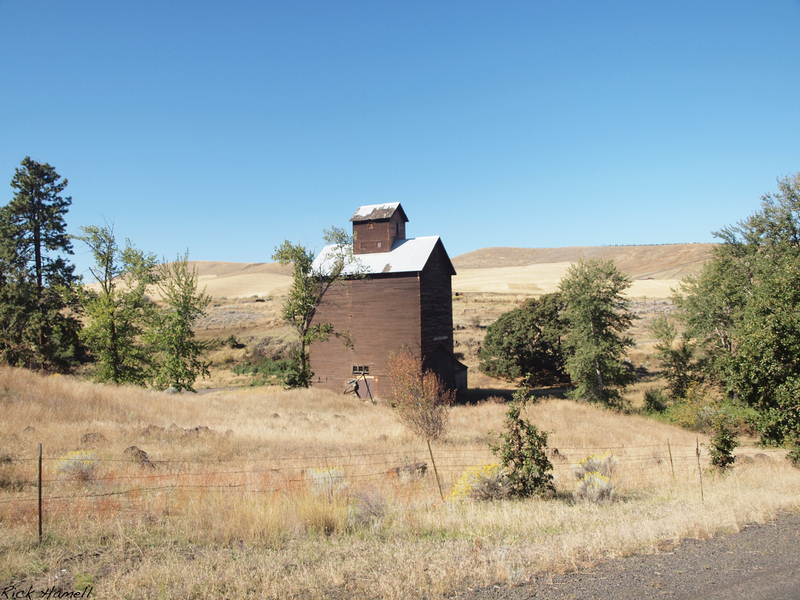 The ghost town of Boyd consists of about half a dozen houses, an old barn, and an old mill building. Two of the houses in “town” date from the 1800s, but are very run down. The other houses are all newer – 1930s, 1950s, and a mobile home from the 70’s. There are rumors that they want to tear this wooden grain eleveator building down for it’s timbers. In the trees on the left of this picture is an old stone house. I don’t know much about the history of it, but I was told it dates from the 1800’s. It looks in pretty good shape, especially compared to the rest of the town. This is the grain elevator that they want to tear down. The rest of the town is just down the street to the right, and is where the more modern houses all sit. That would also be the old “downtown” part of Boyd. Wikipedia has been updated with some history of Boyd since this original post. 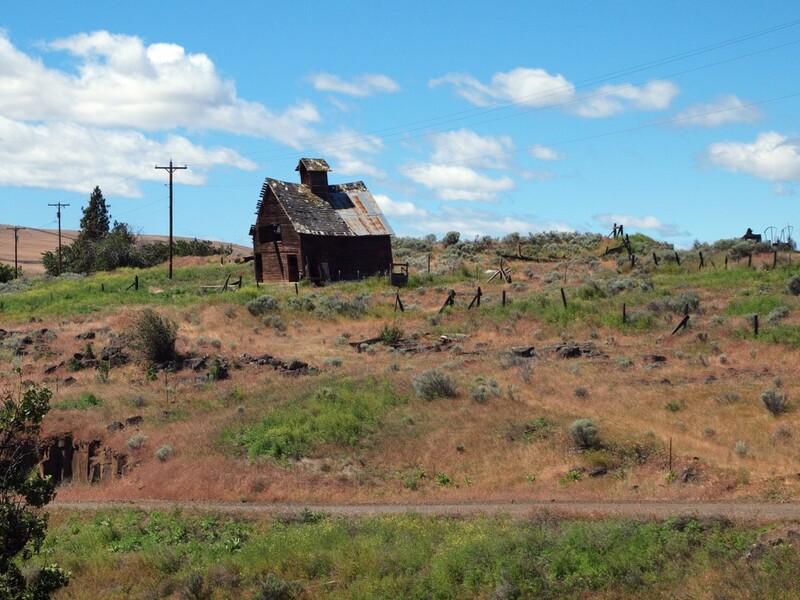 “During the western migration, settlers traversing the Barlow Road would have passed through or near Boyd as early as 1847, but the earliest recorded community was established over a decade later, when gold was discovered near John Day in 1861, and a larger strike the next year in Canyon City, Oregon. The spot near the banks of Fifteenmile Creek that would become the community of Boyd was already a stagecoach stop, with an inn, Eleven Mile House. 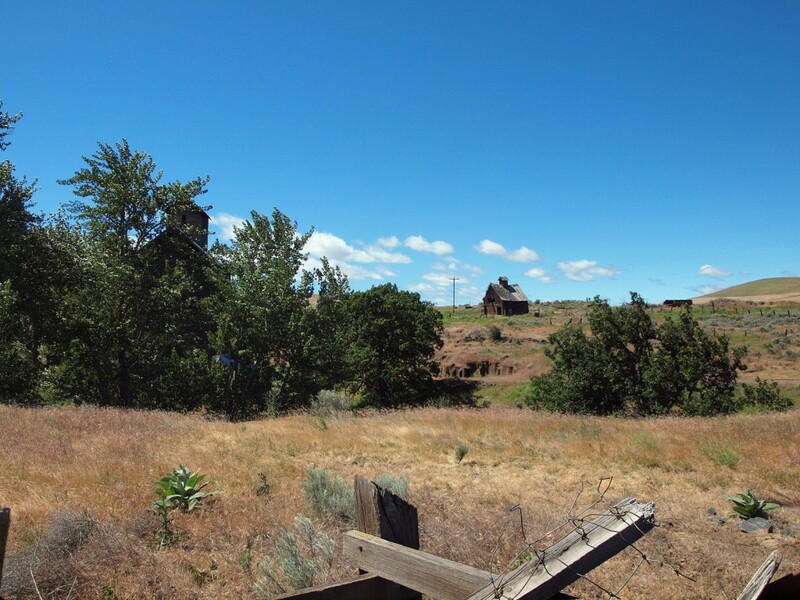 The area became a busy one when as many as 150 miners, 200 pack animals, and ten to twelve freight wagons left The Dalles for Canyon City every day. 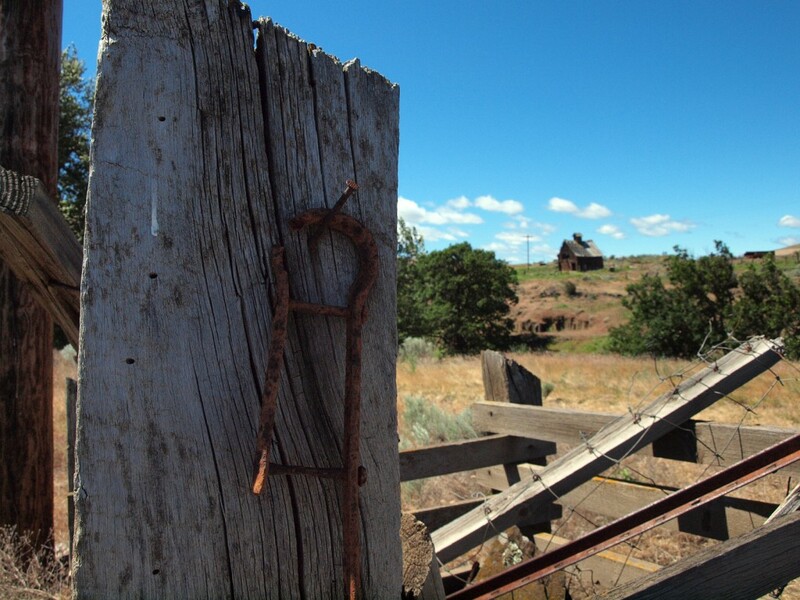 Freight wagon and pack team traffic brought the need for wayfarer accommodations, a blacksmith, wheelwrights and livery stables, so a community developed around Eleven Mile House. 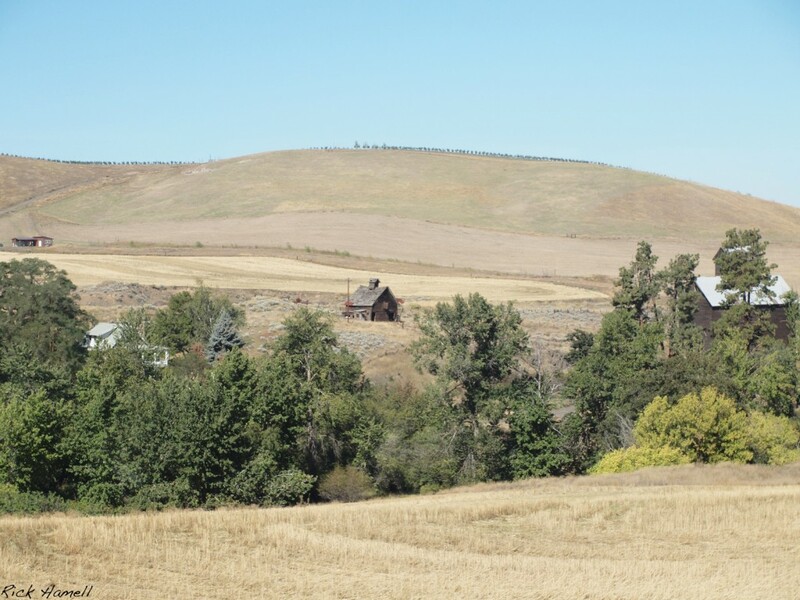 It also served the growing number of homesteaders farming in the immediate vicinity. In 1863, a schoolhouse was built on Fifteenmile Creek east of Boyd. The school building was also used for religious services. The community continued to grow. 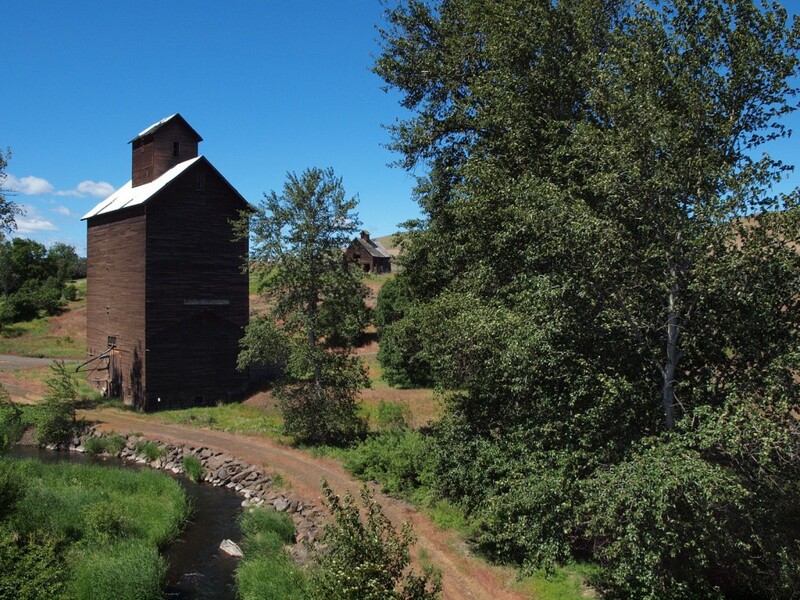 A flour mill was built, ultimately purchased by a T.P. Boyd and his four sons, after whom the town was to be named. The U.S. Government granted a post office under that name, which was located in the general store. 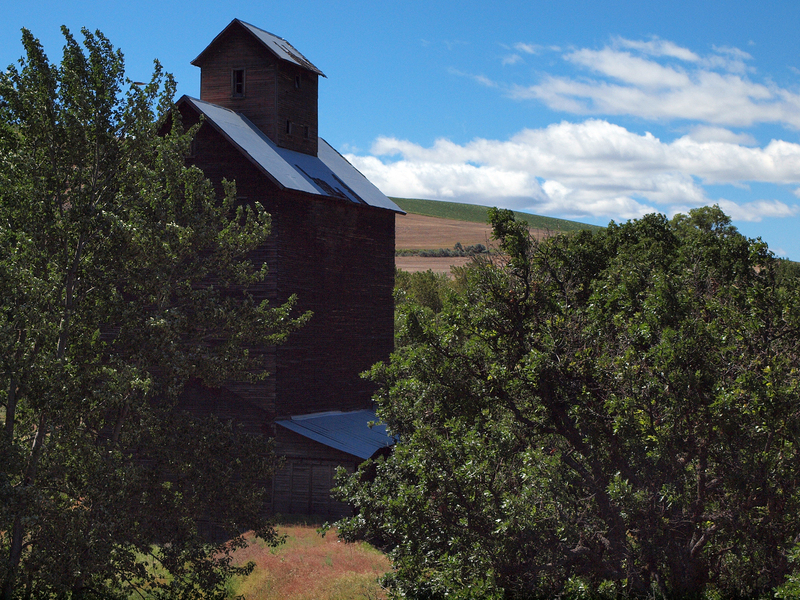 The community still increasing in size, a town plat was drawn in 1895, several businesses sprang up, and a Methodist church established, sharing a pastor with the congregation in Dufur, Oregon. The Boyd school became District #21. Boyd General Store proprietor James C. Greenlee’s daughter, Alma, in front of their family home in town. Circa early 1900s. Courtesy Gilhousen Family Association. New pictures from June, 2011. Behind the elevator, you can just barely see the front porch of the stone house that was built. I have to wonder if it was built with rocks out of the creek there. Went to see Boyd 8-22-15. All private? Nice to see…..from a distance. Damn private landowners.